Createspace Independent Publishing Platform, 9781514813850, 130pp. 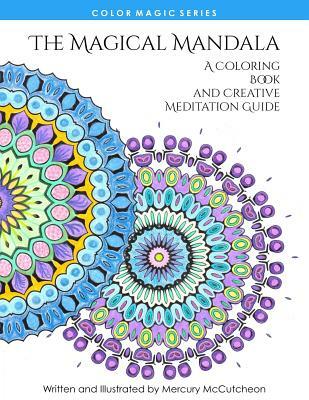 Welcome to The Magical Mandala This book contains 50 beautiful mandalas ready to transport your mind to the relaxing world of coloring magic. The mandalas contained in this book welcome all skill levels. Whether you just want to play with color palettes or embellish with swirls and shading, these mandalas provide a range from plain and simple to difficult and challenging. This book also includes a helpful color association reference guide and four powerful and fun meditations. The meditations were designed to help you use your mandalas for awakening powerful insights, stimulating spiritual growth, and magical manifestation.